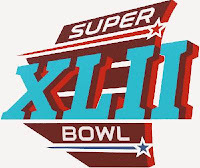 Super Bowl XLII, on Sunday, February 3rd, 2008, features the New England Patriots vs NY Giants. To brag, I do believe Sludge has had their fair share of undefeated seasons; and non-undefeated seasons. I'm not jinxing, I'm just sayin'. 1. Who wins the game - Pats or Giants? 2. What's the score at the end of the game?? White is the new silver for automobile colors. Brown is lucky number 7 in overall popularity, & jumps one spot ahead of blue in fancy (luxury) vehicles. Last year’s DuPont Global Color Automotive Popularity Report tracks color across vehicle segment and also reports by geographic region. A hammer everyone can catch on to. First: Locate a hammer. Next: Get hammered. Andrew Wells spent nearly 17 hours on the Ice Age Trail...At one point, the temperature dropped to nearly 15 below zero. After finishing, he went to a friend's home in Madison and napped. He woke to intense pain in his toes. He removed his shoes and discovered a purple discoloration. That old trick using plastic grocery bags as a sock liner might've helped. Or playing pickup for a few hours, instead. Bonus: you can nap afterwards without fear of losing toes! 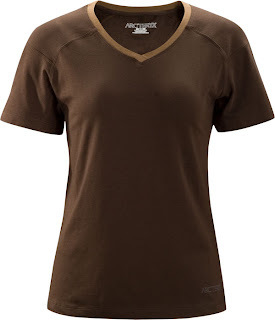 Arc'teryx offers up some nifty soft & comfy cotton tee shirt options in Kangaroo/Brown/Carob. You can pick your friends. You can pick your nose. You can not pick your friend's nose. Snot Spot offers a simple, yet great wardrobe malfunction. Made of soft, high-quality, moisture-resistant fleece & is worn directly over your winter glove, mitten, or even on a bare hand....always accessible surface to take care of those pesky drips...a fantastic spot to put your snot. sNot bad for design excellence so as to not affect most forehand flickiness; unless you want it to. Dr. King's Memorial site is a four-acre plot on the north east corner of the Tidal Basin within the precinct of the Jefferson Memorial and north of the memorial to President Roosevelt. Not on the Polo Fields of our beloved pickup games, yet will increase parking space competition in that area. When will the Memorial be completed? The Ceremonial Groundbreaking occurred on November 13, 2006. The start of construction is contingent upon raising $100 million. The Dedication of the Memorial is tentatively scheduled for 2009. A pioneer of Spirit of the Game, MLK futuristically remarked on frisbee's 4:3 - If you got 7-on-the-line, then game on! WOW! Exhilarating live-blogging of the weather yesterday! Sludge is all about safety first. 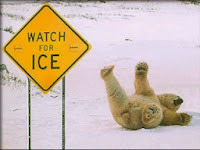 Use salt and non-clumping kitty litter to help melt ice and snow to gain traction. Forget the Word of the Year, let's talk Words of the wintry weather DAY - Operating Status & Skool Closings. Skies: Light snow. Snowflakes the size of frisbees, I tell ya! Skies: Light rain. Frisbees can double as flat umbrellas. A: Meg is in London (again). and lastly...8) Disc Golf - In an ideal world, we would all put down our clubs and pick up a disc. Frolf, anyone? -->Find a Computer Course near you. MAC Rob's been known to enjoy online poker & disc golf, does that qualify him as a 'geek'??? Warm DC winter temps have a certain TP resident combing the Outer Banks beach for October housing. Refusing to pay royalty fees for 'Here Comes the Sun' (The Beatles' 1969 album Abbey Road, Helen), there's a recommendation on the pool table: Sun Terra. Give your immediate feedback on either Sun or Terra. A Scrumptious Sludge - "Go Big or Go Home"
Sewer Sludge - "Looks fairly disgusting but tastes delicious!" Sludge Milkshake - "The Bomb!" Refined Eggplant Sludge - "Sludge it Up"
A 2007 SLUDGEY AWARD popped up for sale on eBay today and attracted a top bid of more than $3000 before it was removed. Each unidentified award, unique in artistic design, was offered anonymously for sale on eBay. An Awards Committee spokesperson said: "We have contacted eBay about removing the very cool and attractive Award." Within three hours, the Award had been taken down from the site after getting more than 59 bids, the highest at $US3026. The real value of the award is appraised much more...sentimentally than monetarily. May your fridge wear it proudly! A cannoli-studded event where clogging was acceptable...at the buffet table. Congrats to all winners awarded with an array of yummy wearables & an attractable award. Sludge on the OBX beach on the amazingly spacious sandy plot of beach field – high or low tide. Those that defensively argue for Sludge NOT to drop down to C League. Writing madly like a dog? What's great with a snack like chips we call crack? It's Slog, Slog, it's great, read it; you should. It's Slog, Slog, it's better than bad, it's good! Everyone wants a Slog! You're gonna love it...Slog! Come on & get your Slog! Everyone needs a Slog! A green salad, beer, bread + fruit. A pepper onion tart and some homemade bread. Either a mushroom/butternut squash lasagne, or both. A yellow cake with chocolate frosting. A savory sweet potato side dish sans marshmallow traces. Chalk up another loss in 2007 AND a loss in 2008 already! 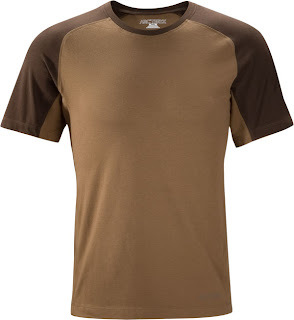 Brown was snubbed for Color of the Year (COY). RU rdy 4 a gr8 '08?! Adios to 2007 where there was plenty of news fit to slog.